The Content Marketing Institute contributor crowd-sourced blog articles continue. 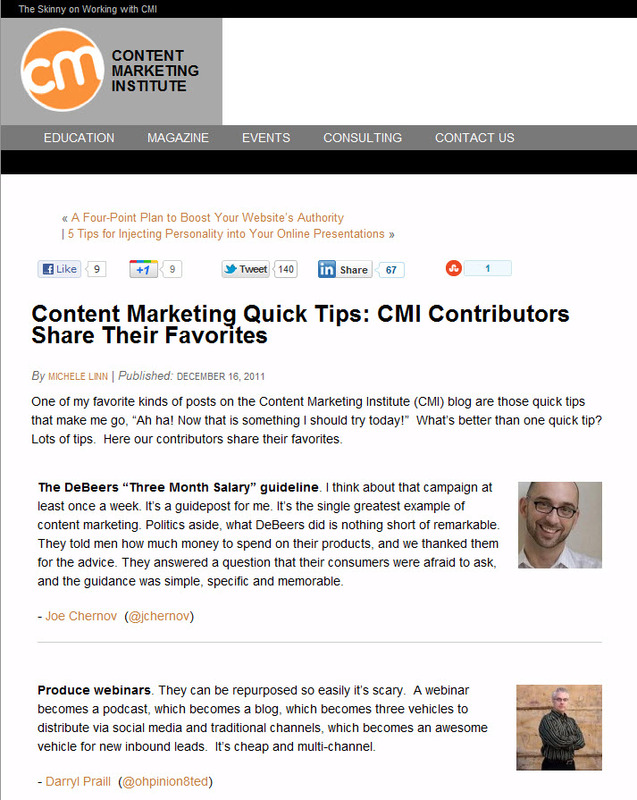 Not only have we seen Content Marketing Examples of 2011, and 26 Favorite Content Marketing Lessons from 2011, but we also - in this article - get to read about Content Marketing Quick Tips: CMI Contributors Share Their Favorites. No surprise: you will find valuable tips from these Content Marketing experts! What is your favorite content marketing tip? What do you think of the advice above? What would you add to this list? Be sure to check out the original post.